Gibsons, B. C.: Nightwood Editions. Very Good+. 2009. First Edition. Softcover. 088971228x . Ex-library book, but still in great condition - sturdy laminated cover and usual ex-lib type of markings. Pages are clean and intact, no markings other than one tiny stain on title page. Cover has light scuffing. ; 8vo 8" - 9" tall; The first anthology of urban Aboriginal songs by Gregory Scofield is a retrospective of the award-winning poet's pivotal work to date. 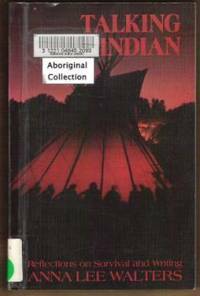 The word Kipocihkan is Cree slang for someone who is mute or unable to speak, and charted in this book is Scofield's journey out of that silence to become one of the most powerful voices of our time. "I make offerings to my Grandmothers and Grandfathers when I write. I ask them to come and sit with me, to give me courage and strength. I ask them to help me be honest, reflective of the ceremony that I am about to begin. I ask them to guide me, to help me touch people. I ask to make good medicine, even out of something bad. When people read my work it's not just the book that they read, it's the medicine behind the words. That's where the power comes from. That's where the healing comes from." --Scofield in January Magazine (260os,0614) . Fireside. Very Good+. 1992. First Edition. Softcover. 0671761897 . 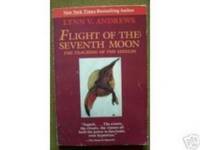 Excellent condition - clean and tight pages. Cover has very light wear at corners and a small remainder mark across bottom edge of pages. 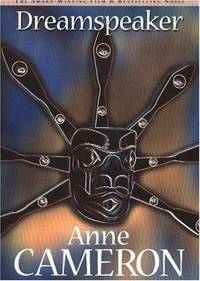 ; 8vo 8" - 9" tall; 230 pages; Review: "Vision Alone, Wisdom Apart, Aug 3 2000, There is a mountain we all must climb. Some of us never see the mountain. Some of those that do see cannot make the climb. This is a very personal collection of stories of individual journeys - journeys that attempt to solidify the bond between the body and the mind. 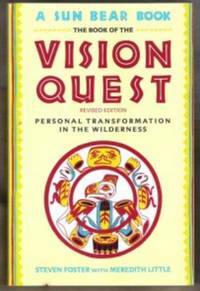 It is also a universal pattern, as we begin to see in "Vision Quest", that we who call ourselves "human", must find and connect with our personal mythos. Always different in its instantiation, always the same in its requirement. And always there...." [298-osl] . University of British Columbia Press. Very Good. 1981. First Edition. Softcover. 0774801387 . 1981 UBC printing. Ex-library book with sturdy laminated cover and usual ex-lib type markings. Interior clean, with all pages intact. Cover has light edgewear and some loosening of laminate along spine, light soiling. 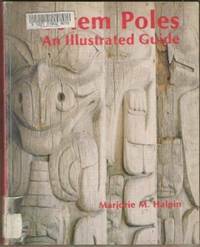 History of the totem poles of the Indians of the Northwest Coast, including archival photos which show the poles in their original settings. B/w & colour illustrations. [osl-355]; 4to 11" - 13" tall . Jeremy P. Tarcher, Inc.. New. 2002. Softcover. 1585421707 . New book, very small remainder mark bottom edge, slight shelfwear to corners, clean & tight. "Lynn V. Andrews takes the reader with her as she goes on inward journeys with the help of the Sisterhood of the Shields, and relates the stories of others. Join her as she is initiated into the Sisterhood and creates her own shield, which will show her the nature of her spiritual path ..." (280os) ; 8vo 8" - 9" tall . NY: Firebrand Books. Very Good. 1992. First Edition. Softcover. 1563410214 . Clean, tight copy. Ex-library book with sturdy laminated cover and usual ex-lib type markings. Light wear to cover edges, a little scuffing, light soiling outer edge of pages. Interior clean and intact. 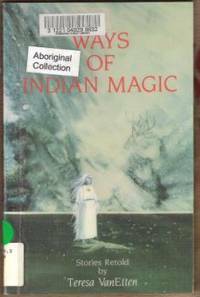 ; 8vo 8" - 9" tall; 222 pages; "Walters, the daughter of Pawnee and Otoe Indians and a teacher and author ( The Spirit of Native America: Beauty and Mysticism in American Indian Art , Chronicle, 1989, and The Sun Is Not Merciful: Short Stories , Firebrand, 1985) , describes how she found her literary voice and what self-expression meant to her. On this journey, she met with alienation, moments of self-doubt, and, ultimately, a sense of joy and affirmation. 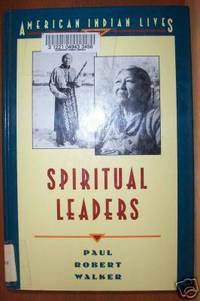 Because Native American leaders, events, and rituals have long been distorted, the author devotes part of the book to correcting inaccuracies and plugging up holes. Even more moving are Walters's own experiences, told in simple, direct language. Into these experiences, she weaves vibrant stories based upon the lessons and legends passed down from her ancestors. " (300osl? ) . NM: Sunstone Press. Very Good. 1985. First Edition. Softcover. 0865340617 . Ex-library book, but still in very good condition - laminated cover and usual ex-lib type markings. Light edgewear to laminate, internal pages clean and tight. "These stories are based on Pueblo Indian legends collected by the author over a ten-year period. Most of the stories were told to her in Tewa, the Pueblo language she learned while working in her family-owned trading post, the San Juan Mercantile at the San Juan Pueblo. Being at the Pueblo gave her the opportunity to become familiar with Indian customs, rites and beliefs. " (150os) ; 8vo 8" - 9" tall . The University of Alberta Press. Very Good. 1995. First Edition. Softcover. 0888642776 . Ex-library book, but still in good condition - sturdy laminated cover with usual ex-lib type markings. Light edge/corner wear to covers, light soiling outer edge of pages. Pages clean and intact, one or two earmarks seen. Colour photos. 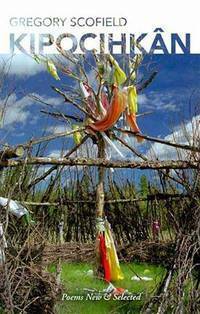 "For more than 100 summers and time unknown before, native people have journeyed great distances to gather at a peaceful lake in north-central Alberta. It has been said the waters of Lac Ste. Anne have miraculous healing powers. 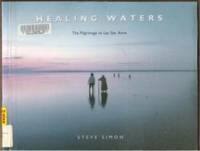 Documentary photographer Steve Simon's compelling and evocative photographs combine with quotes from the people gathered at the lake to tell a powerful story of faith and hope. " (500) ; 8vo 8" - 9" tall; 80 pages . Toronto: Key Porter Books. Very Good in Very Good dust jacket. 1996. First Edition. Hardcover. 1895555949 . Hardcover has light edge & corner wear, light soiling outer edge of pages, tape marks on cover. Internal pages are very good other than some light wrinkling on first few pages, a date stamp on 1st page & small peeled area inside cover, one or two earmarks. There is a library stamp on outer edge of pages & sticker residue on jacket but these are the only indications of this being a library book. Jacket has light edgewear, scuffing & some fading/discoloration to edges, some sticker residue. " 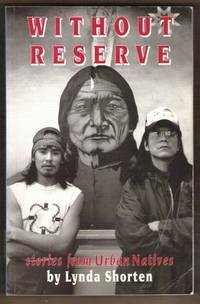 Arthur J. Ray describes the various economic arrangements Native men and women entered into with newcomers, the assault on Native culture in the Industrial Age, and the relentless efforts of Native groups to find a place in the new world order. " (*Note: book is oversize & will incur an addt'l shipping charge to some locations) ; 8vo 8" - 9" tall . Facts On File. Very Good. 1994. First Edition. Hardcover. 0816028753 . No jacket as issued. Ex-library with usual stamps & stickers - very light wear to edges/corners, light soiling to cover and outer edge of pages. Interior pages clean & unmarked. B/w photos. 144 pages. Young adult & older. Profiles 13 individuals whose stories weave a colorful outline of the American Indian religious experience from the first contact with Europeans to the present day. Includes: Passanconaway (Son of the Bear) ; Pope (Prophet of the Pueblo revolt) ; Neolin (the Delaware Prophet) ; Handsome Lake (prophet of the Good Word) ; Tenskwatawa (The Shawneee prophet) ; Kenekuk (the Kickapoo prophet) ; Smohalla (the Washani prophet) John Slocum (the Shaker prophet) Zotom (warrior, artist, missionary & seeker) Wovoka (the Ghost Dance prophet) ; Black Elk (Lakota holy man) ; Mountain Wolf Woman (Winnebago seeker and visionary) Ruby Modesto (desert Cahuilla medicine woman). (*shipping will be reduced to some locations) [osl-375]; 8vo 8" - 9" tall . Orion Books. Near Fine. 1993. Not First Edition. Softcover. 0517881136 . Excellent condition. Ex-library, with sturdy laminated cover and a few stamps & stickers - only light wear overall. Interior pages clean & unmarked other than a little light soiling inside back cover. 158 pages. Wonderful photos throughout. Evocotive portraits of Native American Women with their own reflections on womanhood and what it means to be a Native American. ; 8vo . Arkana. Near Fine. 1992. First Edition. Softcover. 0140193669 . Softcover is new and unread, but it does have a little shelfwear including light rubbing around edges, 1/4" tear on front cover and small publisher's mark bottom edge of pages. Interior clean & unmarked. 252 pages. Tiasha Abelar's account of her apprenticeship with a female colleague of don Juan, a training which used mental and physical exercises rather than psychoactive plants. 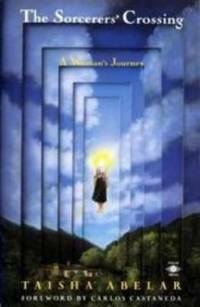 This virtual sorcerers' manual is a pioneering work of women's spirituality. (*Shipping will be reduced to most locations) ; 8vo 8" - 9" tall . New York: Prentice Hall. Fine. 1988. Fourth Printing. Softcover. 0130713414 . Excellent condition - only very light wear overall, slight corner wear, price sticker on rear. Interior pages clean & unmarked. B/w illustrations. 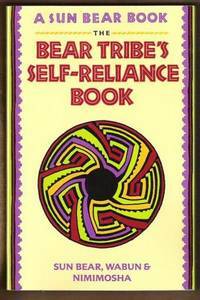 "The authors are members of the Bear Tribe Medicine Society located near Spokane, Wash. This is a useful handbook for everyone interested in exploring the back-to-nature movement. 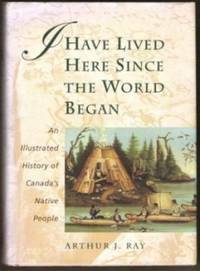 The book, originally published privately in 1977, discusses methods and resources for purchasing or otherwise obtaining the use of land, growing and preserving food, utilizing herbal medicines, skinning small animals and other skills necessary for success in a primitive, communal setting. Also required are hard work and a willingness to sacrifice many material comforts. The tribe stresses living in harmony with the environment and using nature's gifts with reverence..." . (*lower shipping avail to most locations) [300-osl? ] ; 8vo 8" - 9" tall . Toronto: United Church Publishing House. Very Good. 1997. First Edition. Softcover. 1551340631 . Ex-library book, but still in very good condition - laminated cover and usual ex-lib type of markings. Only light wear overall, light soiling and library stamps to top edge of pages. Interior clean, all pages intact other than front cover pulled away a bit at spine and first page. This was a little loose at bottom and has been neatly taped. Two of the small library stamps have been marked out with black marker. B/w photos. 200 pages. The women in Bridges in Spirituality are creative leaders who bring hope to our lives. These women elders remind us of the grandmothers, the aunts, and the many women who have marked our lives by their wisdom. 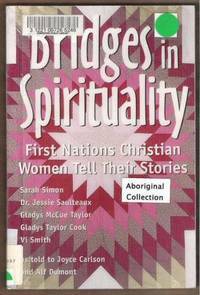 These are the ones who carry us until birth and nurture us on the journey of life...These stories weave the women's spiritual traditions with Christian ones... [osl] ; 8vo 8" - 9" tall . Harper & Bros.. Good. 1991. Softcover. 0062500287 . Moderate wear overall. Good reading copy. Author Lynn V. Andrews began her quest for self-discovery in her remarkable book MEDICINE WOMAN. With the help of her teacher, the Indian shaman woman Agnes Whistling Elk, Andrews was given a series of challenges that continued to lead her to more expanded levels of awareness. Now, once again, Andrews weaves a mesmerizing story as she learns to protect the powers she has gained from the sorcerer Red Dog... (350) ; 8vo - over 7¾" - 9¾" tall . Pomegranate Artbooks. Very Good+ in Very Good+ dust jacket. 1993. First Edition. Hardcover. 156640598X . Ex-library book, but still in very nice condition, only light wear overall. Laminated cover and usual ex-lib type markings. Interior clean & unmarked. Jacket has light scuffing and light soiling/wrinkling to rear. Beautifully illustrated in colour. In Native American tradition a person's medicine is that which brings her power, teaches lessons, and in turn empowers. Medicine women are dispensers of power, instruments of healing, keepers of tradition, and teachers to us all. Through Patricia Wyatt's captivating paintings we encounter the spirit of medicine women -- dispensers of power, instruments of healing, keepers of tradition, and teachers to all. 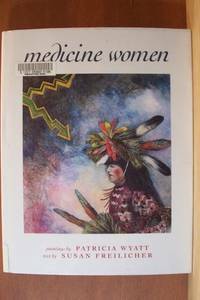 ...; 4to 11" - 13" tall; A passionate book of enduring beauty and insight, Medicine Women is a favorite of Patricia Wyatt fans as well as all appreciators of the Native American cultures of the Southwest. Wyatt's paintings of Native American medicine women are exquisite and mysterious. .